Plus an assortment of tuning pins. 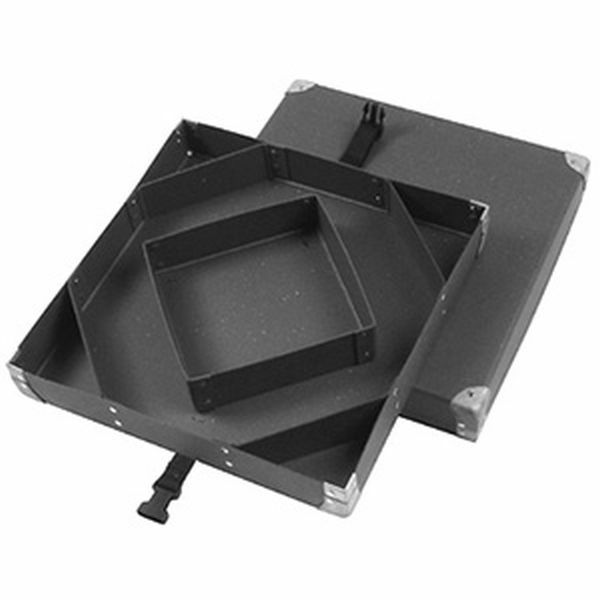 Dimensions 2-3/4" x 15-1/2" x 15-1/2"
Made of heavy fibre board with metal corner braces. Strong strap with claw buckle. A very handy and useful case for replacement strings.